I wait for Thy word. That I may have regard for Thy statutes continually. 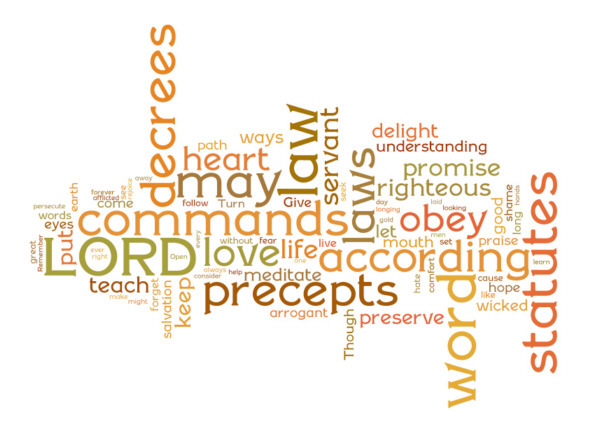 Over 22 postings on Psalm 119 it is my hope to soak in and meditate on these powerful words. This is the longest chapter of the Bible with 22 sections. Each of the 22 sections is an acrostic in the original Hebrew language that alliterates each statement with one letter from the Hebrew Alphabet. In reading through this Psalm, one can find the meditations of the heart, the movements of the hands, & the all surpassing Grace of God. It has been almost 2 whole months since I have posted on Psalm 119…my apologies. But I am looking forward to finishing sharing some thoughts (not exhaustive) on this monument of truth and grace. Let’s go! In ס Samekh the psalmist continues with a heart and voice that expresses his painful view of a world that turns the back on the God who created and loves them. He sees a disrespect and utter rebellion on the holiness of God…something we all struggle with. (Struggle meaning, sometimes we have pain seeing the world without God & at other times we struggle with our own obedience toward God). We are in a desperate need for the grace and revelation of God Himself. This prayer of the psalmist is centered on God in His provision of Himself by His grace & for His glory. The prayer is this… “Sustain me according to Thy Word, that I may live (v. 116a)” We are in need…thankfully, God gives…Himself. This entry was posted in Faith, God, Gospel, Grace, Life, Salvation, The Word. Bookmark the permalink.